If you’ve been diagnosed with gestational diabetes, it’s common to be worried about your condition. Don’t be. Your chances of having a problem-free pregnancy and birth are very good. Here are some answers to typical questions that will put your mind at ease and help keep you and your baby as healthy as possible during your pregnancy. Gestational diabetes is defined as abnormal glucose (sugar) tolerance during pregnancy in women who have not been diagnosed with diabetes before they became pregnant. Insulin is a hormone that regulates blood sugar by getting it from the blood and into the cells. During pregnancy, a woman’s body requires more insulin than usual. When her pancreas is not able to supply this additional demand for insulin she may develop gestational diabetes, and her blood glucose levels will rise. What medical follow-up is required? A registered dietitian (RD), who can provide nutritional advice, over the course of one or more meetings. Don’t forget: Your pharmacist can be a great resource for questions you may have about diet, exercise, blood glucose monitoring, or any medications your physician starts you on. How will my daily routine be affected? 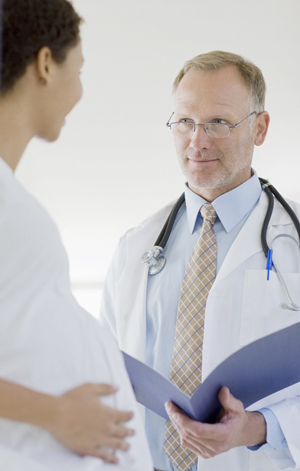 For the most part, your pregnancy won’t be very different from that of other expectant moms. However you may require more frequent prenatal visits and you might need to learn to check your blood sugar levels. You will probably need to make some changes to your diet, such as limiting your consumption of sugar, including fruit juice. You can be counselled regarding those changes by a dietitian. And if needed, your doctor may prescribe you some medication to help control your blood sugar levels. Some physicians also recommend trying to get regular exercise as this will help control your blood sugar levels. Your healthcare team will help you develop a plan that will ensure you and your baby stay healthy. What should I expect after I deliver my baby? While gestational diabetes generally resolves after delivery, it is important to check your blood sugar levels the day after delivery to be sure that it is normal or near normal. Occasionally, women who were diagnosed with gestational diabetes actually had previously undetected type 2 diabetes, so it is important to have your doctor check your blood sugar levels again about six weeks after your baby is born. Having gestational diabetes increases your risk of developing type 2 diabetes later in life. Meet with your healthcare team for your post-partum check-up and get their guidance on healthy lifestyle habits that can help reduce your risk of developing type 2 diabetes. Your health care provider might suggest to you to be screened regularly for the development of type 2 diabetes.